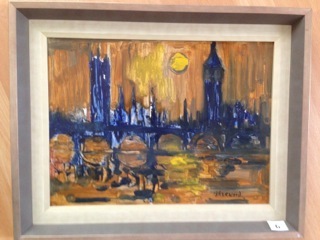 An iconic Lawrence Isherwood painting of The Houses of Parliament. Framed, Oil on board, 30x40cms done in his mid 60’s atmospheric period will be auctioned by the Willow Tea Rooms on Ebay over the next fortnight. The painting is illustrated in the Isherwood book by Stephen Eckersley on page 167 of his definitive history of the painter. The painting has kindly been donated by the author from his own personal collection and all proceeds from the sale will go to the fundraising event by The Willow Tea Rooms Golborne, which is raising money for Wigan & Leigh Hospice with a day of events on Thursday 15th May from 10-5pm. 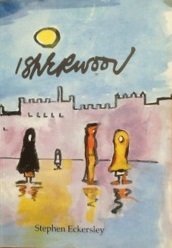 Included with the winning bid will be a signed copy of the Isherwood book which can be dedicated personally to the winning bidder if so required. The opening bid will be £450.00 excluding postage and packing which will be agreed with the buyer on completion of the sale. The sale is aiming to complete on Wednesday 14th May. 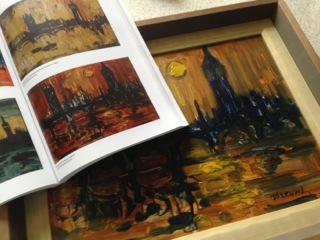 This is your opportunity to own a painting, with full provenance, along with a copy of the book with this painting in. The painting can only increase in value over the coming years.